There’s money to made on a sitcom where Mike Perry fathers the abandoned children of Darren Till. Mike Perry is already the wild Uncle you’re parents don’t want you to talk to but what if he was tasked with raising some fatherless British kids? The origin story to this wacky family comedy, airing right between a Step by Step and Charles in Charge reboot, began last week in Los Angles. You see the thing is. I mean what happened was. You know what? Just watch the video of Perry and Till interacting and it will mostly explain itself. All Perry wants to do is get better as a fighter and all Till wants to do is hit the steam room after a couple’s massage with his new buddy. Odd Couple much? 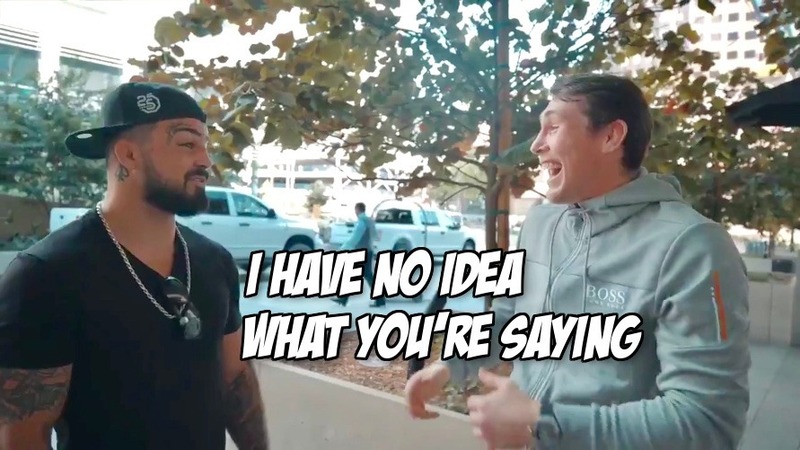 Could watch hours upon hours of video of Darren Till and Mike Perry trying to communicate through the English language. Are these two UFC welterweights even from the same planet? The same multiverse? The other important follow question to this meeting of the minds, besides if Till asked Perry to be his surrogate father to all of his kids, is did they ever actually get to spar? Perry looks so bummed out that Till just wants to hang out and do a spa day with him. Just look at that face. Really hope one day Till spars with Perry, gives him a few tips, and they both put on bathrobes and drink cucumber water afterwards.